Bonjour. 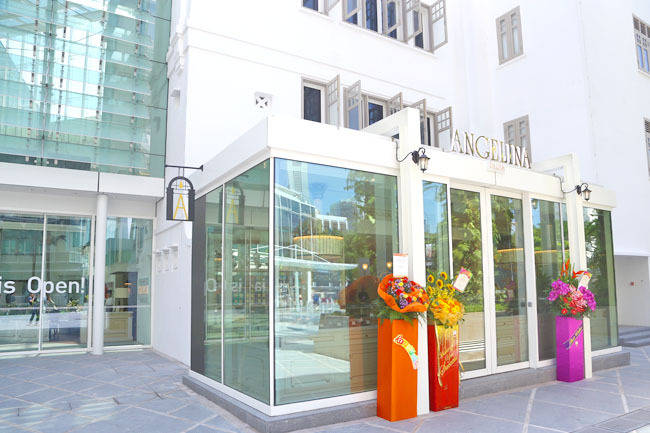 Parisian tearoom Angelina has arrived in Singapore, finding its home at luxury lifestyle mall Capitol Piazza City Hall. 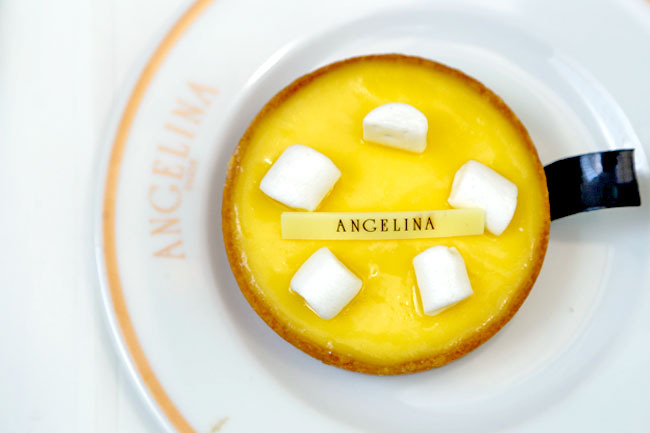 Angelina has a history from 1903, where Proust and Coco Chanel have been customers at the tearoom room at Rue Du Rivoli in Paris. This is the type of café to sit down with one friend to chit-chat the whole afternoon away after being tired of carrying huge shopping bags. You know, that type. 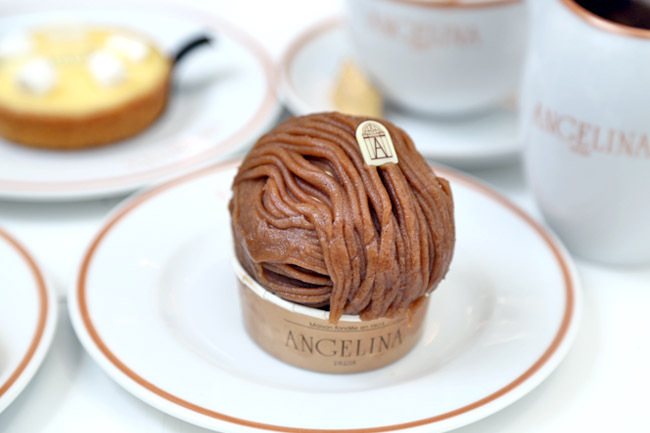 If there are only two items you need to have, it would be their defining signatures – the Old-Fashioned Hot Chocolate “L’Africain” ($12), and Mont Blanc ($13.50). 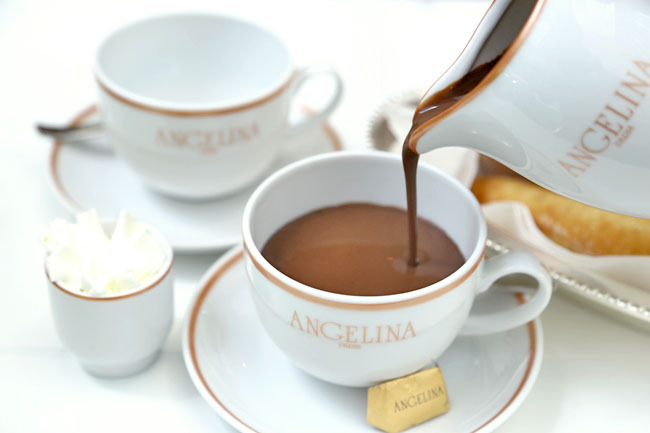 The hot chocolate is made with three different kinds of African cocoa from Niger, Ghana and Côte d’Ivoir, served in an elegant pitcher alongside a little cup of whipped cream. For those who have yet to try their hot chocolate, do brace yourself for the cup Take sips, not gulps, and just relish that rich, velvety dark chocolate in small delightful nips. 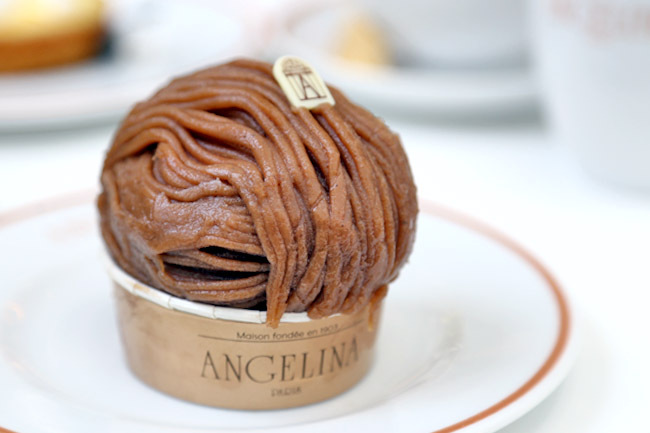 The round Mont-Blanc ($13.50) is covered by sweet chestnut purée vermicelli, smooth light whipped cream beneath the layer, and meringue as its base. I am the biggest fan of Mont Blanc, and it is tough to find one in Singapore which has both the chestnut ‘punch’ and delicate taste. Angelina ‘white mountain’, amidst being rather steep in price and sweet, is one of the best you can pick up here. The Tarte Au Citron ($10) has a balanced lemon cream filling, but let down by its part-clammy base. 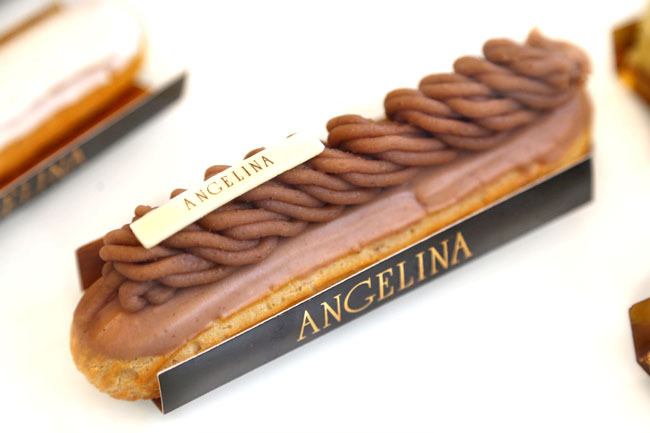 We went back again for more sweet treats after finding out there were some new cakes to the collection, including the Mont-Blanc Framboise ($14, the signature mont-blanc with raspberry heart), Cheesecake Citron ($13), Éclair Vanille ($10, white chocolate éclair). The first cake that we zoomed in was the elegant like a blossoming fire-red rose Flore ($13), so striking that the table next to us borrowed our cake for a phone photo. The lady said, “I would have ordered it once I wasn’t that full, but next time…” It is true, I have seen red cakes, but one not this red. The Flore is not just a good looker. 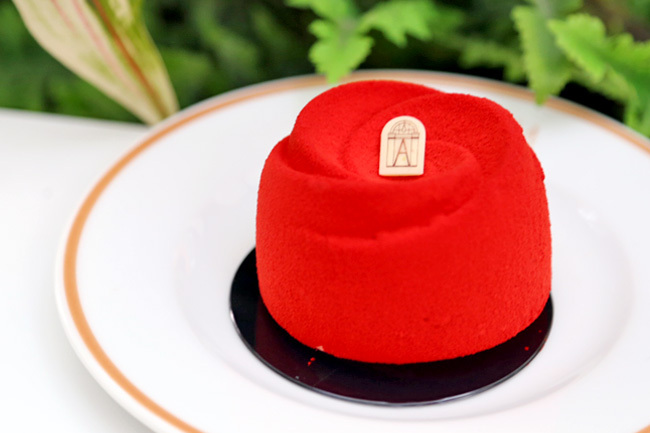 Beyond its stunning appearance was a delightfully light vanilla mousse cake with a raspberry heart centre. 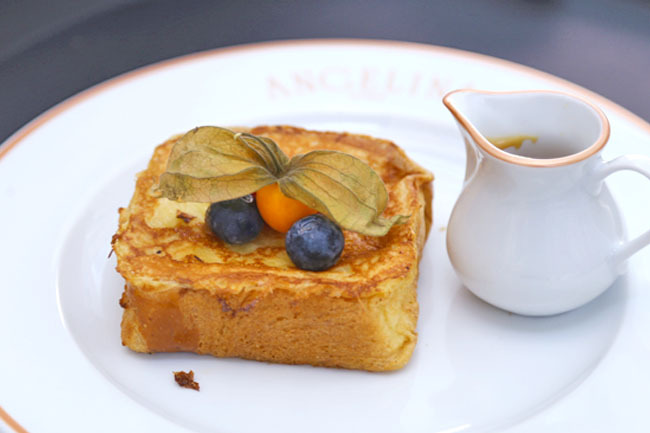 It is smooth and delicate, and makes a strong addition to the existing repertoire. The Negresco ($13) will appeal to chocolate lovers. 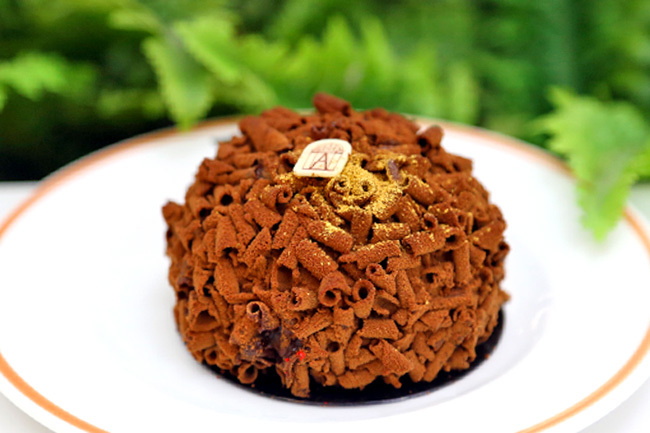 It has a appealing balance of both of the texture of dark chocolate shavings with mousse, and taste of light chocolate with intense cocoa flavours. Breakfast is till 11:30am. 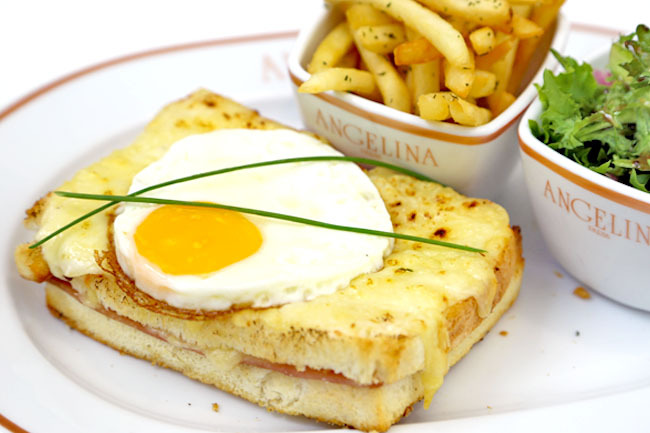 Brunch items are available after that, such as Croque Madame ($21), Parisian Club Sandwiches ($21) and Truffle Omelette ($25) are available. For a fuller meal, you can have their mains of Wild Mushroom Risotto ($23) and Truffle Ravioli ($29). Ambience wise, we found some of the seats too near the Galleria’s main entrance, thus the opening and closing of the auto-door could be of some hindrance (Updated: We went back and realised that the automatic door has been closed). And the rather undersized round table, could overflow with plates and cups with just 2-3 items ordered. While prices are up north, we enjoyed our time and meal, service standard and taste of a certain good quality. For those who need to feel some elegance and class in your lives. hi. Do you have other recommendations for good Mont Blancs? I too love Mont Blanc over other cakes and have so far only felt Flor’s version to be the most worthy ( will try Angelina’s soon). Thanks!